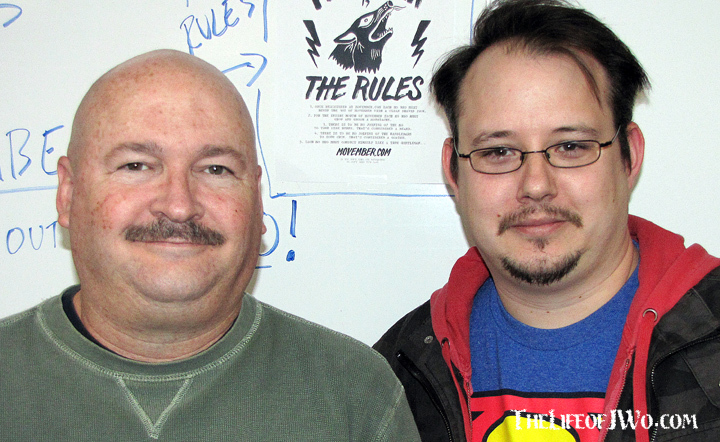 When I started my 2013 Movember campaign, I really didn’t have any real plans for what all I wanted to accomplish. But as the days MOved by and my whiskers grew, I got more involved. Week 4 of the JMo. I wanted to raise money for my group, Bloggers for Movember, which ultimately will go toward helping raise awareness for men’s health issues. Without letting anyone on my team know, I decided that I wanted to raise the most amount of money for our team. To sweeten the deal I decided I would send out cookies to anyone donating $25 or more to me. 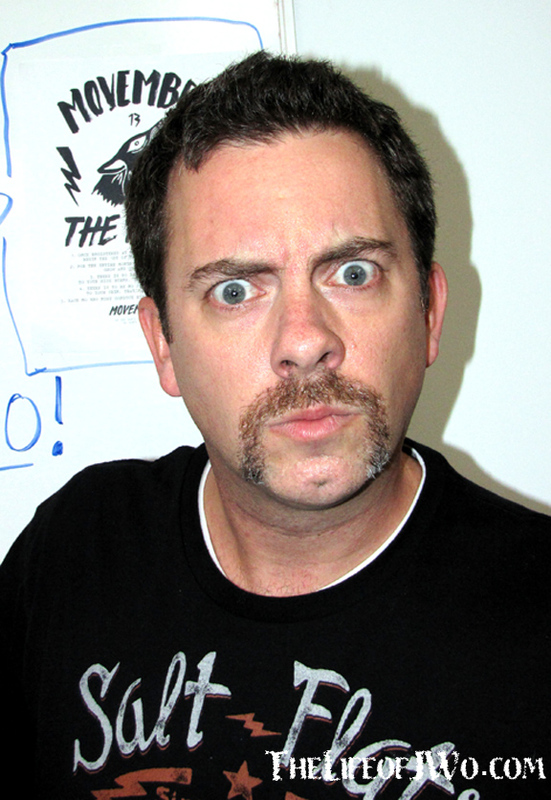 Operation Cookie Bribery seemed to have worked as it helped me raise $282 for Movember. I’d LOVE to get that number over $300 and it’s not too late for you to help. If 12 of you take the few seconds to donate $1 each I’d break the amount in no time. TO DONATE TO ME CLICK HERE. This year’s Bloggers for Movember may be winding down tonight, but it saw an amazing growth under Becca’s tutelage. Not only did she offer some great giveaways this year (winners to be announced on her vlog at the first of December), but she also partnered us with Dollar Shave Club who is donating $10 to BFM for everyone who signs up using promo code MOVEMBER081. Think about it, Dollar Shave Club is an awesome Christmas gift for the men in your life and entering the promo code will also help do something good for someone else. You’d be killing two birds with one stone…. You should totally do it. When I initially found out that Becca was turning over the 2014 Bloggers for Movember campaign to me I was scared and nervous. Me: I don’t have as many followers as she does. But then I realized that while Becca maybe handing over the BFM reigns to me, I know she’s not going to leave me. Her facial hair love won’t let her do that. So, while I know I’ll still be anxious when the calendar rolls from September to October next year, I can take comfort in knowing that all of my BFM friends will still be here, writing, posting pictures and raising money for #Movember. Thanks to Becca and her efforts this year, Bloggers for Movember raised a grand total of $659 this year. I consider that our starting point next year. I’d also like to thank everyone who donated to me personally. I am eternally grateful to Mollytopia, the first person to donate despite never having heard of me a month ago. All told I had 13 donations, a number that I’m hoping will go up tonight AND next year and I’ll be sending cookies to six people. I’ll get then orders in next week and will let you know when they are shipped. Thank you from the bottom of my heart for donating. I look forward to you helping out again next year. 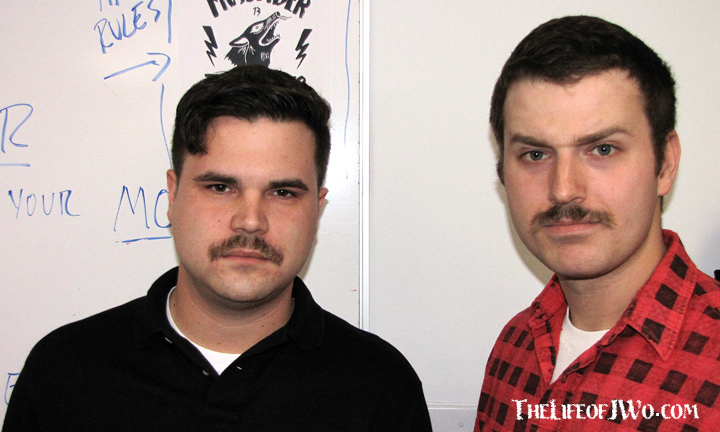 Last, but not least, I’d like to thank my co-workers who joined the cause and grew their mustaches with me this month. I’ve only been at my job for nine months, so it meant a lot that they joined me in growing their MOs, but also that they kept it up all month. There will be cookies for the crew on Monday!! Below are our Week 4 pictures, followed by their weekly progressions. 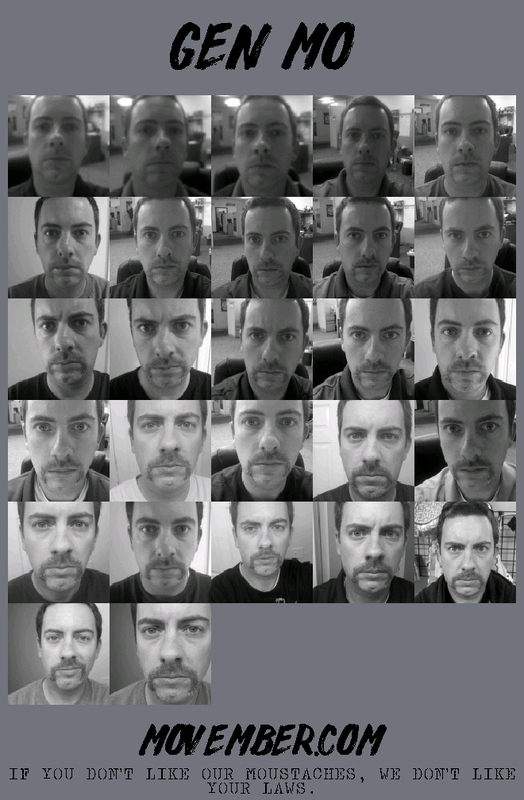 The Daily Progression for the JMo taken using the Mo Tracker from the Movember app. Everyone kept asking me why I made such an angry face in my pictures and my answer was always the same. Me: You can’t smile when you are rocking the handlebars. Look it up, it’s true. 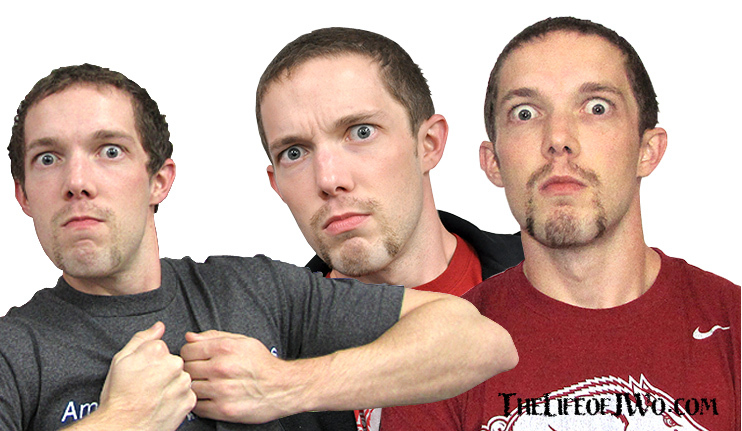 Handlebars make you so full of badassery that you just walk around with a permanent scowl on your face. I’ll smile tomorrow. I’ll smile TONIGHT if more donations come in!! It’s actually going to be a little sad to part ways with my Mo, but thems the rules. Besides if I sported a mustache all year-long it would take away from the awesomeness of Movember. Thanks again to all who participated, had giveaways, donated or just grew their Mos. I can’t wait to see them again in 2014. Gallery | This entry was posted in 2013, Daily Life and tagged Becca, daily life, Dollar Shave Club, Donation, fitness, health, humor, life, mens health, Movember, Movember 2013, people, Postaweek2013. Bookmark the permalink. Hello! I wanted to congratulate you for being next years Mo Leader 🙂 I helped Becca this year with an art giveaway and I was very happy that I could contribute to this years Movember. And it’s true. You can’t smile while rocking a stache. You have to look fierce and serious. Hehe.